I love that jewelry case in the first picture!! Ooooooh, all of this organization just makes me want to clean my house from top to bottom! I looove all of that. And I need that jewelry holder! Happy Wednesday, pretty girl! omg wow. i love. seriously i want all of this..hello! fridge organization? why havent i thought of that! i need to get on it. holy organization, i wish i could be this organized sometimes! love your blog, im your newest follower! Love all the organization ideas, but that jewelry case makes me drool. I love the glass top and the compartments...it's just too perfect! If only things STAYED organized! That's my problem..
All this organization makes me happy! totally loving all this organization! need it in my life! 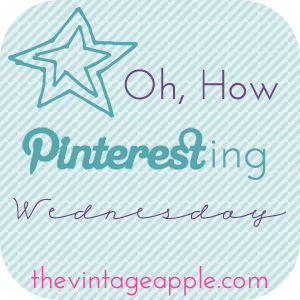 great pins & cute blog. loved all the pins. I need to redo my bathroom linens and I loved the pin about that! I love all of your pins, but that closet is my favorite. It's so organized and you can fit so much in it. I am a new follower and just wanted to show some love- these are great ideas! All these photos are amazing! All I want to do is organize now! I love organization, I was drooling over this post!